Jacob Smith joined the Black Mountain group in October 2014 as the Chief Accounting Officer. Prior to joining Black Mountain, Jacob worked for TPG Capital, LP (2011-2014) and KPMG, LLP (2008-2011) in Fort Worth, TX. At TPG, Jacob worked in Fund Operations and assisted in deal closings and exits, distributions, and capital calls for TPG’s $18.9 billion flagship private equity fund, as well as other legacy private equity, growth and distressed debt funds. Jacob was a Senior Associate in the audit function for KPMG when he left the firm to join TPG. 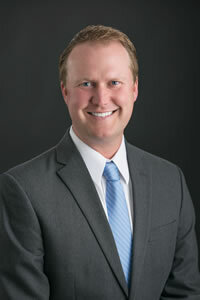 Jacob Smith earned his Bachelor of Business Administration in Accounting from Abilene Christian University in 2007 and a Master of Accountancy from ACU in 2008. Jacob passed the CPA exam in November 2008 and became registered as a CPA in March 2009.